Each sovereign nation has the absolute right to conduct its foreign affairs as it sees fit, but when domestic financial motives cause countries to support money laundering dictatorships, compliance officers at international banks in North America and the European Union stand up and pay attention. 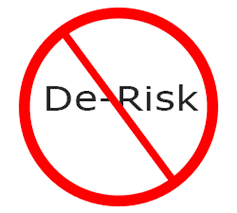 This means, in plain English, considering whether an increase in Country Risk is appropriate, and applying increased scrutiny to large transactions possibly originating in a sanctioned jurisdiction. 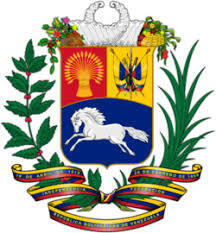 The political support given by certain East Caribbean states, especially Antigua & Barbuda and Dominica, to the Bolivarian Republic of Venezuela, including during its issues with the OAS, has not gone unnoticed by the global compliance community. 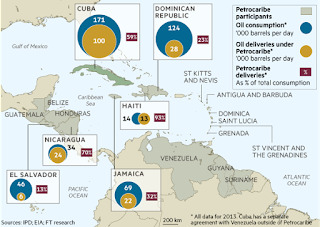 Venezuela, with its issues of rampant money laundering and terrorist financing, is considered a pariah by the United States, as reflected in OFAC sanctions, and in other official American actions. 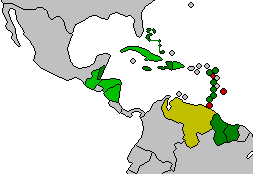 When left of center governmenrt leaders in the East Caribbean, who are receiving financial compensation from Venezuela, directlty or indirectly, express their political solidarity with that country, with its disastrous human rights record, its status as a drug smuggling transit point, and its love affair with sanctioned Middle Eastern terrorist organizations, it is duly noted by compliance officers, who correctly fear the misuse of the financial facilities ( read that as locally-organized offshore banks) by Venezuela, to move dirty money, or mask criminal activities, in support of Iran, or other rogue states. When East Caribbean leaders blow kisses at Venezuelan President Niciolas Maduro, the effect is felt at international banks, whose risk-based compliance programs then recognize an increased threat. if you were wondering if it even affects De-Risking, I think you now have your answer. 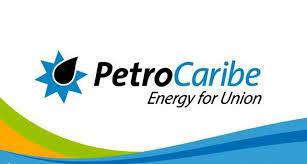 Western banks do not have an appetite for risk for the financial institutions from Caribbean countries whose prime ministers openly court realtionships with high-risk dictatorships. Beginning on December 1, 2018, all individuals from CARICOM countries who wish to visit Canada, will be required to have a personal interview at the High Commission of Canada to Trinidad & Tobago, in Port of Spain. Photographs and fingerprints will be taken of all visa applicants, according to a trusted Canadian Government source. 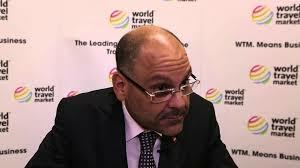 Only the Bahamas and Barbados have been exempted from the application of these new regulations. 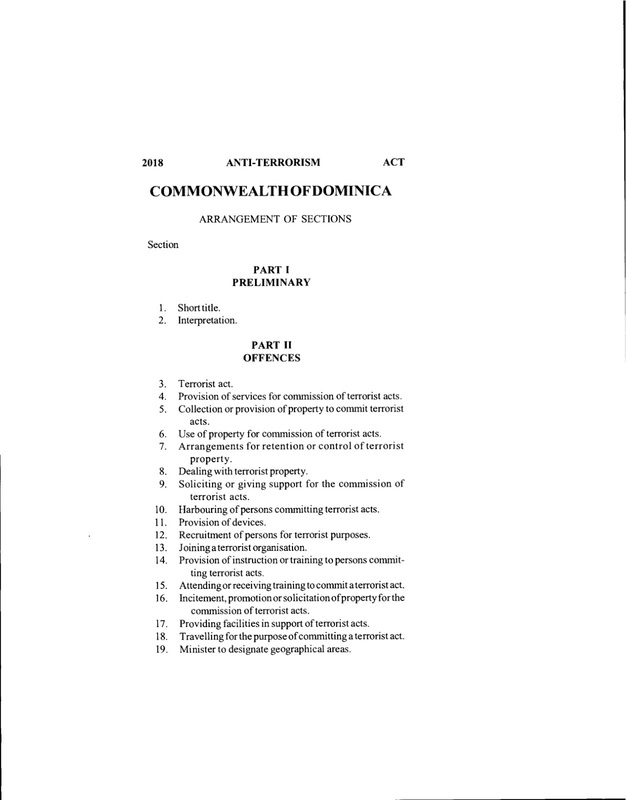 While many in the East Caribbean states may consider these new policies both expensive and time-consuming, it is important to remember that we warned everyone last year that stricter visa policies would shortly be implemented, unless the jurisdictions with Citizenship by Investment (CBI or CIP) Programs swiftly upgraded their compliance procedures to the level of Enhanced Due Diligence. Unfortunately, governments in the region not only chose to ignore our warnings, they scoffed at the idea that North American jurisdictions would ever tighten their entry regulations. Canada's actions are simply the direct and proximate result of the failure of the CBI states to institute those effective compliance programs. One of the major selling points of any of the region's CBI programs is easy entry to Canada; now CBI passport holders, wherever they be situated in the world, will have to travel to Trinidad, to process for that prized Canadian visa. We wonder how many prospective applicants will choose a CBI jurisdiction outside of the East Caribbean, such as Malta, when this negative news is picked up by the major CBI consultancies. It is important to note that interview schedules of applicants may be limited, due to the size and availability of the diplomats at the High Commission, that passports may be required to be left with the High Commission for processing, and that there could be additional delays, due to the mandatory checking of fingerprints through law enforcement databases. A final note; if Enhanced Due Diligence procedures are not now instituted, Canada may impose additional protective measures. We trust that the necessary, and much overdue, EDD is put in place, before visa restrictions get even more severe. If you were wondering whatever happened to convicted Ponzi schemer Francisco Illarramendi's §2255 Motion to Vacate or Correct Illegal Sentence, which was filed back in 2016, it appears to have have been abandoned. Back in January of this year, the Court allowed the petitioner to secure the assistance of an attorney to represent him, but he has not done so, and the passage of six months seems to indicate that he has lost interest, or realized that his case has no merit at law. Alternatively, Illarramendi was a difficult client during his Federal criminal case, and he went through a number of attorneys. He may be having a very difficult time obtaining counsel, as word may have gotten around among the Connecticut Federal criminal defense bar. 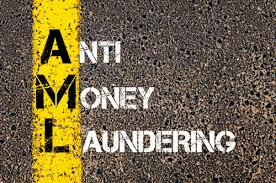 Although there have been scores of articles covering the recent adoption of the 5th Anti-Money Laundering Directive, it is always important to consult the original source, when seeking to both understand, as well as comply, with its provisions, as it is relevant to your individual situation. Therefore, reader are urged to review the complete text, which they may access here. IS CHINA NOW CONTROLLING THE CACHE OF USD$100 SUPERNOTES ? 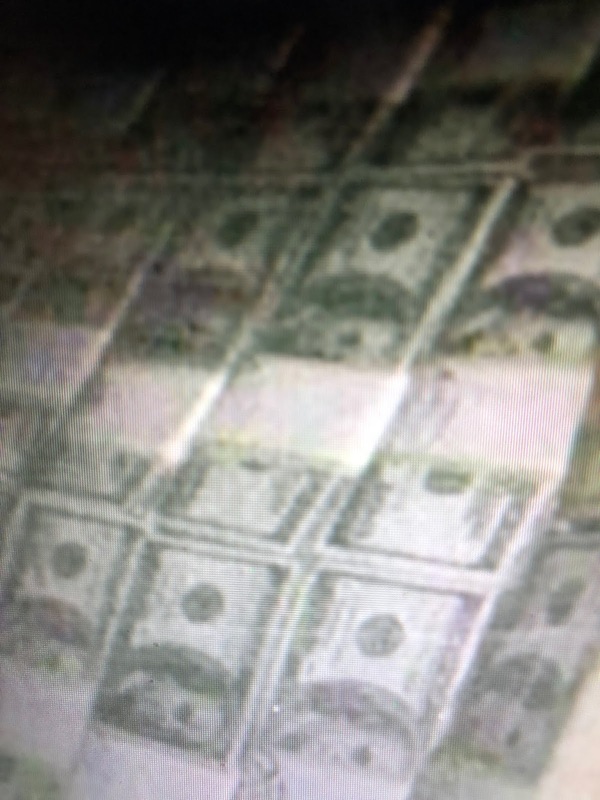 It appears that there is another player in the mystery surrounding the Series 2006 US one hundred dollar "Supernote," the literally undetectable counterfeit North Korean-manufactured American currency that has strangely remained stored, in controlled environments, in East Asia, since its production. 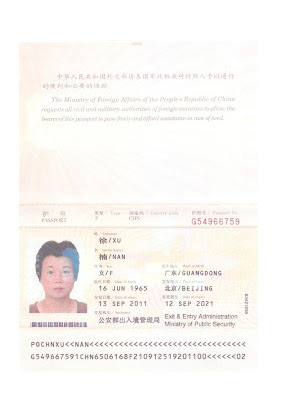 An exemplar of that note was examined, in a laboratory, by a US law enforcement agency, which concluded that it was of Chinese, and not North Korean, origin.Why would it make that mistake ? Sources in South Korea state that the Supernotes, huge quantities of which remain in obscurity in cold storage in seven military and government facilities there, though of North Korean manufacture, were shipped through the Peoples' Republic, and that there are also warehouses inside China that contain pallets of Supernotes, as well as of counterfeit currency of Asian countries. One additional note; though we tend to regard the organized crime syndicate that is known to control the Supernotes in the ROK as ethnically South Korean, it has major branches in Taiwan ( ROC), Hong Kong, and the PRC. It is therefore more international than South Korean. 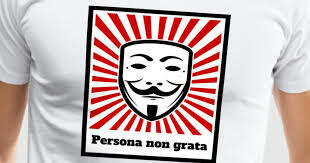 If China has virtual command and control over the Supernote sites, through its affiliation with organized crime, and thus the ability, on order, to distribute in quantity, it may be in charge here, and not the DPRK. In any event, the truth, of known to US intelligence services, is nonpublic, classified information, and we will continue to be completely in the dark about the Supernote's latest, and apparently the most authentic version, and what will eventually become of the vast amounts of this most dangerous counterfeit. Judging by the comments that they have posted online, Antiguans are totally disgusted with the Asot Michael bribery scandal. His constituants are flocking to Internet websites offering further information, and that is apparently not sitting well with the cashiered ex-Minister of Investment. His henchmen have set traps for the unwary, with the goal of denying them the sordid details of his greedy efforts to extort millions of dollars, a new automobile, and an expensive watch, from a European investor seeking to do business in Antigua and St. Kitts. What Asot's co-conspirators have done is to create a large number of bogus websites, all of which promise that they will deliver additional details of the scandal. Some even convince visitors to enter, with short website summaries that appear in Google searches, promising that they are "posted by" this blogger. When the victims click on the site, they are confronted with a totally bogus "Windows Warning Alert," and a recording that orders them to call a toll-free number, and if they don't, they will be reported. Of course, since I am running a Mac, the warning is meaningless, and it is untrue anyway. Readers who have encountered one of these nightmares would do well to force quit their browser, or shut down and restart their computer. 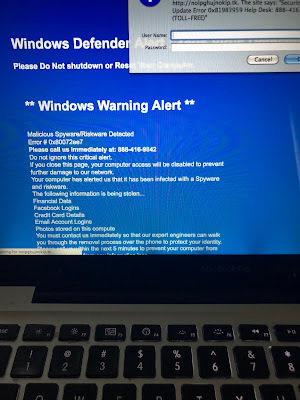 Run your anti-virus program to be certain, but the whole thing appears to be a scam, to discourage you from accessing more of Asot's dirty laundry. He has a long history of hitting below the belt in Antigua. This will give you some idea of the depths to which Asot Michael, and his support network, maaning the Antigua & Barbuda Labour Party, will sink, to protect the cash flow that results from systemic corruption at the highest level. The question is whether he, or any other Antigua politician, will ever be indicted for corruption. A FOUR MONTH SENTENCE FOR LAUNDERING $100m ? GET OUTTA TOWN ! 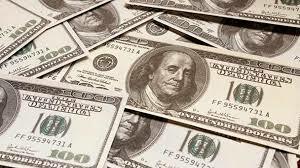 A father and son team, who laundered one hundred million dollars, coming to them from Venezuela, into and through the United States, were sentenced in US District Court in New York to only eight and four months' imprisonment, in a case which will definitely not serve as a deterrent to others tempted to engage in criminal activity. The defendants, Luis Diaz jr., and Luis Javier Diaz, who will also be subject to two years of Superviased Release, face substantial forfeiture proceedings, but no more prison time, although the US Probation Office suggested a five year sentence, and the US Sentencing Guidelines computation was 13 years or more. 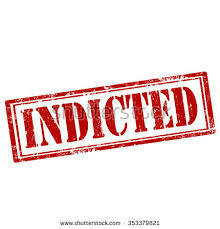 The defendants used their Miami-based company, Miami Equipment & Export VO., to transfer funds from Venezuela, for a fee, as an unlicensed money transmitter, using fake invoices, which recited that they were for "consulting services," and deducting fees for those illicit services. Much of the wired funds went to a British Virgin Islands corporation controlled by their Venezuelan clients. How can sentences of only a few months operate as a deterrent to others ? What is a fair sentence for money laundering large amounts of money ? We cannot point to a specific sentence that is sufficient to act as a deterrent to others, to promote respect for the law, and to establish accountability, but what we see here is definitely insufficient. Indeed, it might just be regarded as such a small slap on the wrist, as to encourage others to become money launderers. 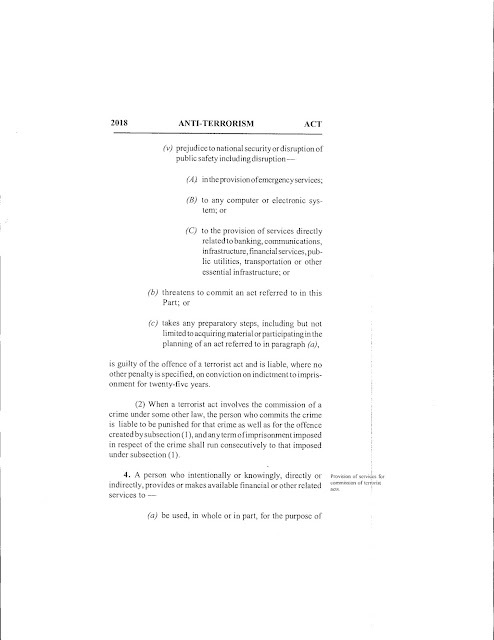 The House of Assembly, Dominica's Parliament, is set to consider on June 25 an Anti-Terrorism Law that will effectively eliminate all politial dissent or opposition to the administration presently in power, by improperly classifying all types of opposition, including peaceful protest, as a terrorist act. The overly broad definition, as contained in the proposed law, will prevent Dominicans from exercising their Constitutional right to dissent and protest, against a corrupt, incompetent government. 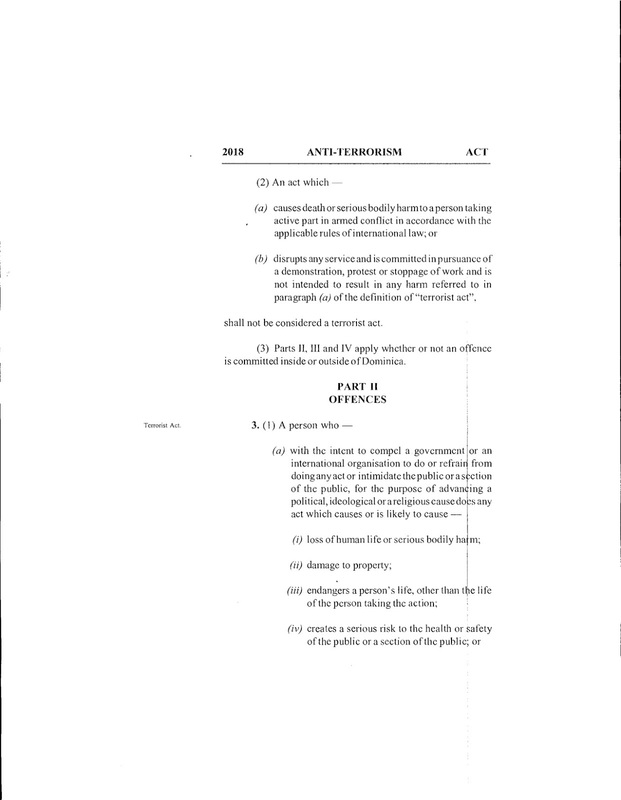 Unilke anti-terrorism laws in other countries, the proposed Act does not contain any provision excluding acceptable forms of peaceful protest asnd dissent from the definition of a terrorist act.The impact of this legislation, if it becomes law, is to allow the govenment to charge dissenters and protesters, even if peaceful, as terrorists, and impose a prison sentence upon them, of up to twenty-five years. Dissent is being criminalized, under the guise of fighting terrorism. The net effect of this new law will be to eliminate the Opposition, in all forms, and to turn Dominica permanently into a one-party state, as all dissent will be classified as a criminal terrorist act, and suppressed. SHOULD CBI PROGRAMS HAVE ANNUAL LIMITS ON APPLICATIONS ? We note that the Government of St. Kitts has reported that it has taken in 1200 applicants for its low-cost $150,000 Hurricane Relief CIU (CBI) Program. 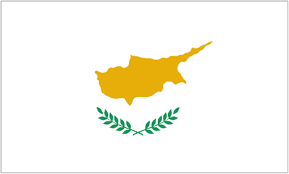 At the same time, the Government of Cyprus has announced that it is limiting the total number of CBI passports issued annually this year to 700, and it will take up to six months to conduct enhanced due diligence upon the applicants. Does Cyprus know something the authorities in St Kitts don't ? Absolutely. The short answer is that individuals conducting due diligence on CBI applicants (which should be enhanced due diligence, not merely due diligence-level compliance) must have sufficient time to thoroughly examine each applicant, wait for inquiries made abroad to return, and if necessary perform follow-up on the results. If they are under pressure to complete files, due to a large backlog of pending cases, true enhanced due diligence, which cannot be rushed, may suffer, and unsuitable applicants will be approved, only to subsequently get arrested, with their CBI passports in hand. CBI jurisdictions must accept only quality applicants, which they cannot do if they are into quantity, for the sole reason of maximizing cash flow. Given St Kitts' past history of abject failures in its CIU program, unless it wants to see further compliance failures, with the attendant negative publicity it would do well to put a ceiling on passport issuance, and at the same time truly raise its level of inquiry to enhanced due diligence, which history tells us it does not conduct upon its applicants. 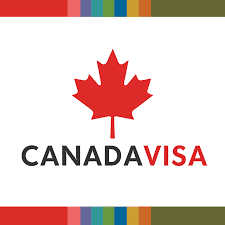 St. Kitts & Nevis recently sent an official contingent to the capital of Canada, in a full court diplomatic press, intent on convincing senior leaders to again allow visa-free entry of its passport holders to Canada. The Kittitian diplomats who met with government officials, which included its Minister of Foreign Affairs, and the SKN High Comissioner to Canada, have long been seeking to abolish the Canadian visa requirement, without success, and sought to use family ties, and trade and investment connections, to pursuade Canada's officials to bend to their will. It appears that they failed. The personal meetings, which included House of Commons leaders, and Canada's Minister of Immigration, Refugees and Citizenship, had a serious business goal. St. Kitts' Citizenship by Investment, or CBI, program, allows its passport holders visa-free admission to all Commonwealth of Nations jurisdictions, unless otherwise restricted, which Canada does. 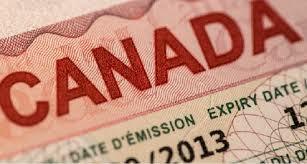 Of all the visa-free countries CBI passport holders wish to have access to, Canada is at the top of the list. Unless Canada revokes it visa requirement, the SKN CBI passport is not as valuable as those of competing East Caribbean States with CBI programs. This means fewer lucrative CBI sales, hence the personal visit to Ottawa. 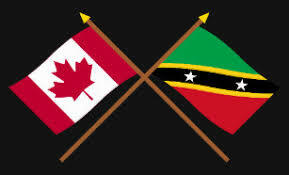 Unfortunately, since the St; Kitts CBI program has still not upgraded its CBI applicant vetting procedures, to the level of Enhanced Due Diligence, both Canada and the United States will contiue to regard the holders of SKN passports as high-risk, punishing legitimate native-born Kittitians, as they troll for dodgy CBI passport holders. Someone should tell that to the SKN Minister of Foreign Affairs. 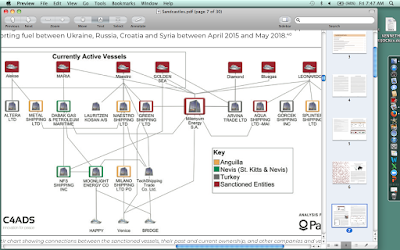 ARE THERE MORE INDICTMENTS IN THE PILATUS BANK $115m IRAN SANCTIONS EVASIONS CASE ? (1) the last six documents in the case were all filed under seal. Why so many sealed filings so early on in the case ? These could be sealed indictments of additional defendants who are outside the United States, and not in custody. They could be also sealed due to national security reasons involving Iran. (2) The court has rescheduled the Status Conference for mid-July, a delay of thirty days, "in the Interests of Justice," a phrase which is often used to grant additional time to cooperating defendants, so that their cooperation can further be exploited. 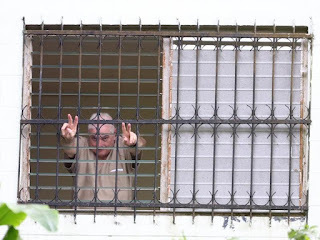 It is important to remember that he is charged with funneling more than $115m, paid under a Venezuelan construction contract, through the US financial system, for the benefit of Iranian individuals and entities. 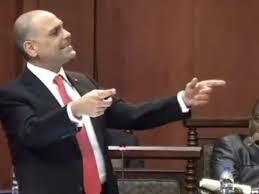 It is a major sanctions evasions case, and Nejad certainly has first-hand information about the pipelines through which Iran has, for years, moved billions of dollars through the US financial system, details of corruption at the highest levels, in Malta, where he effortlessly obtained a banking license, notwithstanding his and his family's background in sanctioned entities. 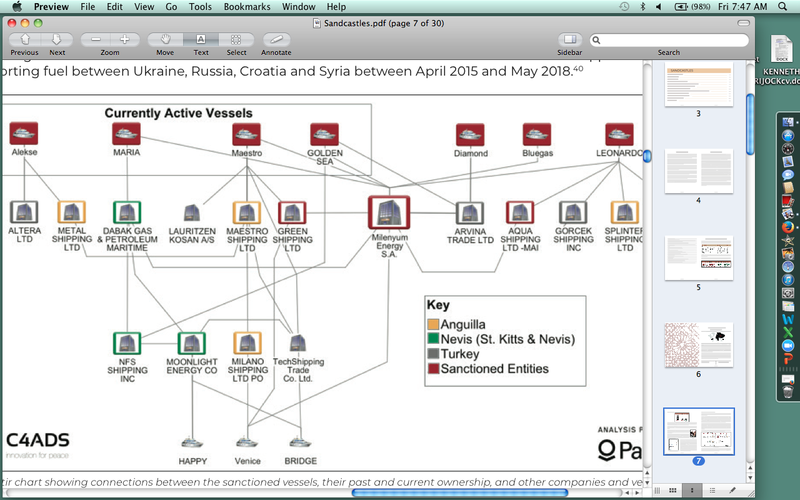 The other question is whether the Substantial Assistance being rendered by the kingpin of Iran sanctions evaders, Reza Zarrab, was instrumental in obtaining the indictment against Nejad. Do these cases intersect, and if so, who is next to be charged ? HSBC : DON'T ASK, DON'T TELL ABOUT FINANCIAL CRIME ? 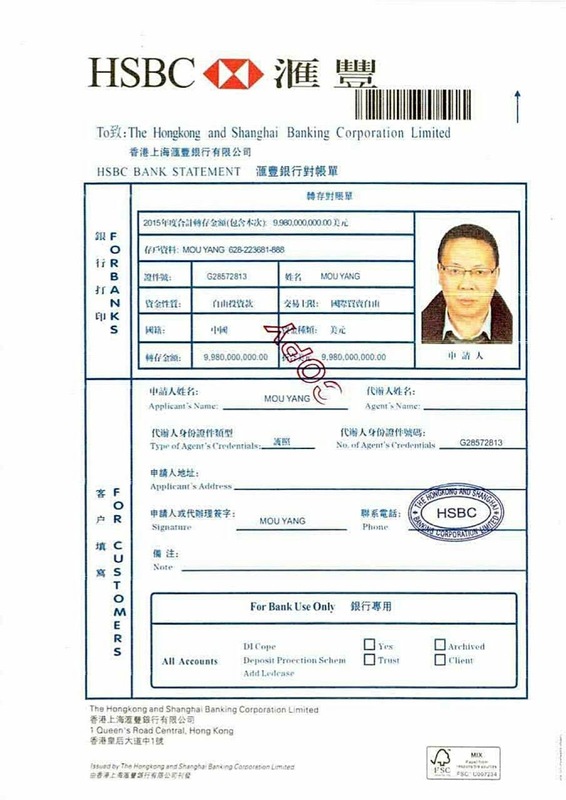 I recently published, as exhibits to my article on the widespread use by Asian organized crime syndicates, counterfeit and altered HSBC bank documents, used to commit massive bank fraud in the region, especially in South Korea. The criminal element uses the bogus document to falsely claim assets, which to uses as references to take out loans, which are, of course, never repaid. 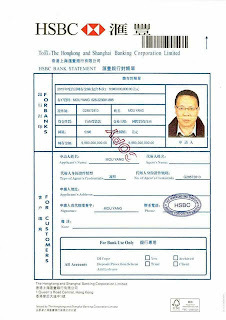 The HSBC documents, of which there are hundreds, are reportedly being used in the Republic of Korea, Taiwan, Hong Kong, and in the Peoples' Republic, to borrow money. While I noticed that a number of HSBC bankers have accessed my article, there has not been one official inquiry, or requested information. don't they want to know how I acquired al those bogus HSBC documents, including account statements, HSBC officer passports, negotiable paper, and other financial instruments ? Don't they want to know who the individual members of the Asian organized crime syndicates are ? Perhaps they simply charge off the losses, and ignore the criminals fleecing the bank, in an effort to avoid the negative publicity, which can drive away customers who fear becoming victims. Whatever the reason, they are failing to interdict financial crime, which only makes it grow stronger. I have been reading a number of articles of late, in the Caribbean media, bitterly complaining abut rampant de-risking at North American banks, and making all sorts of arguments for continued access to US & Canadian financial structures, through correspondent accounts. 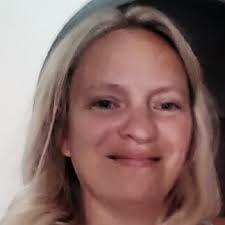 Whle some of the arguments certainly have merit, the de-risking situation in North America, where compliance officers at international banks are under increased pressure, and even fear the imposition of personal liability, for perceived ineffectiveness in their AML/CFT compliance programs, is only going to get worse. North American banks will only retain their correspondent acounts at Caribbean banks if they are afforded a window into the local accounts of the offshore banks, which means Know your Customers' Customer, or KYCC. This means having softeare installed in each Caribbean bank, that will allow the bank in New York or Toronto to examine their correspondent bank's local accounts in depth, with the same access as the local bank has. It is as simple as that. There's no great mystery about how this is accomplished; the Csribbean bank, and its Northern correspondent both download commercially-available software. There's even one created locally*, by IT techs in the Cayman Islands, for that express purpose. The problem is, in the Caribbean, with rare exceptions, no banks are willing to do it, notwithstanding that the cost to the banks are minimal. 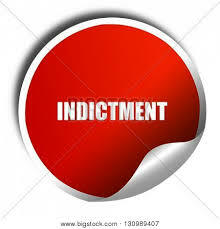 (1) Accounts of corrupt government officials,and their political allies. An examination of such accounts could show deposits far in excess of an official's known salary and minimal assets. (2) Accounts of dodgy tax evaders, drug traffickers, or individuals engaged in illegal activities. 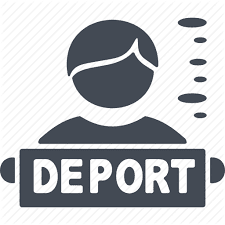 (3) Accounts of individuals from sanctioned countries, deposited without any verification of Source of Funds, and who may be internediaries, or terrorist financiers. 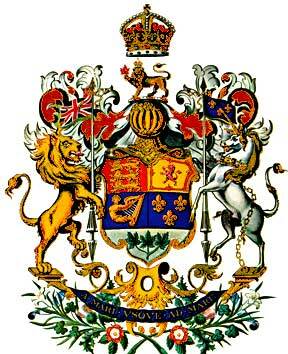 (4) Accounts that hold income from Citizenship by Investment (CBI) applicants. Knowing how many deposits, and their country of origin, could provide clues to foreign law ernforcement aencies as to the volume of CBI passports issued, and what countries they ase coming from. Unfortunately, unless true KYCC capability is granted to the onshore banks, you can expect increased de-risking, forcing the losing banks to funnel US Dollars through third parties, at increased cost, and with additional delays for clients. If KYCC does not come to the Caribbean, you can count on an eventual deterioration in local economies, and the reinforcement of the perception that bank secrecy exists there only to keep illicit clients out of the sunlight. The banks must choose KYCC to survive. 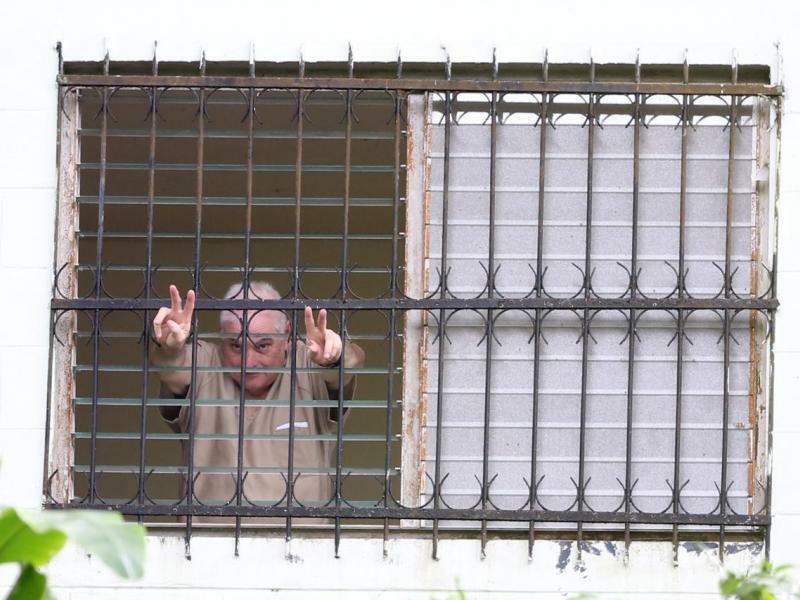 There has been zero coverage, by any media, of the curious fact that both former Panamanian president Ricardo Martinelli's District Court extradition case, as well as his subsequent Eleventh Circuit appeal, were effectively sealed, and remain unavailable to the public and press. Nobody has questioned why the courts have denied access to the pleadings in the files; indeed, we have not even seen any ruling or order that has closed these files to inspection. Why was the appeal also restricted, which is an extremely rare occurrence ? While national security is a valid reason to restrict Federal Court files, there has never been a whisper out there that this is the reason. 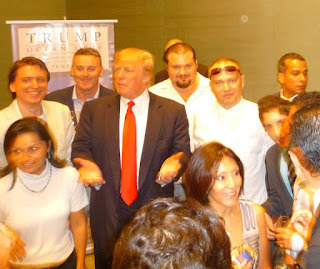 To the contrary, reliable sources abroad, as we have previously reported, confirm that it is common knowledge in the Republic of Panama that Donald Trump, and one of his sons, engaged in conduct in Panama City that would be extremely embarrassing if disclosed in the media. There appears to be a news blackout in place. 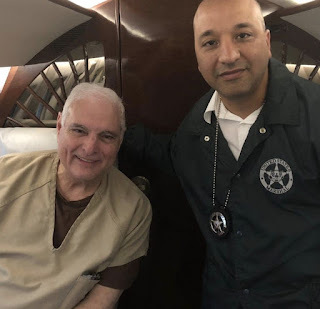 Longtime Panama watchers know that one of the charges that Martinelli has been exrtradited for include widespread illegal video and audio surveillance of powerful people, caught in private and intimate moments. Martinelli used tapes and videos to blackmail his victims, and the word is that two Trumps are allegedly on the tapes. Is that really why the Martinelli court files were restricted ? Given the wide-ranging Russian election influence investigation conducted by the Office of Special Counsel, and the Russians involved in both sales, as well as purchasers, of the Trump Ocean Club in Panana City, we wonder whether its investigators have read those files. An appellate court in Greece has affirmed a lower court decision declining a request from Malta to extradite the Russian whistleblower Maria Efimova, the former bank employee who helped the assassinated journalist Daphne Caruana Galizia expose financial crime and Iran senctions evasion at now-shuttered Pilatus Bank. The Maltese government's petition for extradition was held by the lower Greek court to be vague and irregular, and found that she would neither get a fair trial in Malta, nor be protected while in custody. The arrest warrant from Malta, which alleged that Efimova provided false evidence, false accusations, and theft, allegedly was politically motivated, and have no factual basis. 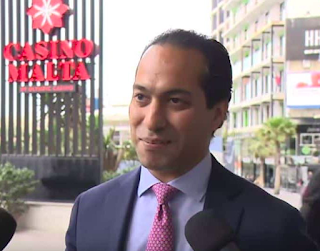 Powerful politicians in Malta, some of whom have been exposed in the Panana Papers, and thereafter scalded by the media for reputed corruption, are believed to be behind the government's action. The court system in Malta, whicb is regarded by many observers as corrupt, with two recent court cases involving judges accused of bribery, may have been a factor in the Greek court's ruling as were allegations of governmental corruption in Malta, irrespective of the law. 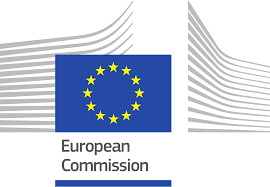 The corruption, when paired with a citizenship by investment (CBI) program where effectiveness of the due diligence investigations of applicants has been questioned, has increased Country Risk for Malta among compliance officers in the EU, for valid reasons. 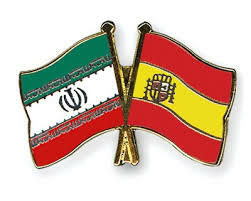 Investigations by the EU, into both the CBI programs, and money laundering allegations, are pending. 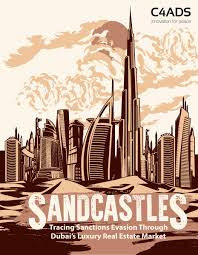 The Washington-based Center for Advanced Defense Studies, using leaked real estate data from Dubai, UAE, has published a major white paper, documenting the extensive ownership of pricey Dubai real estate, by criminal elements, including sanctioned individuals and entities. It is well documented and is recommended reading for anyone who wants to lift the veil on Dubai, and reveal exactly who is buying those million dollar properties. There are extensive charts & pictographs. Readers who wish to review the complete text of the thirty page C4ADS document, which is in pdf format, may access it here. 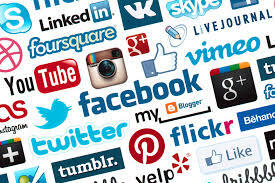 While we have previously written several articles on this blog, detailing how important the utility of social media resources in routine inquiries made by bank compiance officers, prior to account opening, as well as its usefulness in successful law enforcement investigations, social media searches have also become an integral part of all Enhanced Due Diligence procedures. The widespread use of Internet reputation management companies, and the artful placement of so-called "fake news" articles in the media, has eliminated the ability to rely upon much that is posted to the world wide web, even if it sems to come from authoritative sources. Social media searches are valuable source of negative information that your target may have worked very hard to keep from the Internet, but which artful and focused inquiries on social media will reveal. For example, a photograph documenting the presence of what you thought was a successful businessman-client at birthdays, holiday observances, charitable events, or simple gatherings, will often show close links to his more disreputable (i.e. organized crime) associations. Individuals may reveal interesting aspects of their lives when they as off-duty, or they think they are participating in private moments. Another example is information ,which can often be gleaned only from social media sites, about your target's close friends' relationship with criminal elements. 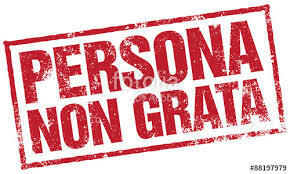 Is he the covert intermediary between your target and individuals who will disqualify him from any serious consideration for a directorship, large commercial loan, or investment in a joint venture ? Often you can find evidence of such a relationship hiding in plain sight in a social media source. When conducting an effective Enhanced Due Diligence investigation, Social media resources have become as important as your reliance upon facial recognition software, and of Second Generation, cloud-based information. Do not neglect to make it a mandatory element of all your EDD inquiries, lest you miss an important discovery which could affect your recommendations about the target's suitability, or lack thereof. 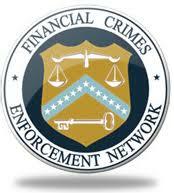 I recommend that you review the latest Advisory of the Financial Crime Enforcement Network (FinCEN-2018-A003), entitled Advisory on Human Rights Abuses enabled by Corrupt Senior Foreign Political Figures and their Financial Facilitators. The fifteen page white paper includes case studies, Red Flags to watch for, and contains extensive and helpful footnotes for further research. Readers who wish to review the complete text of the Advisory can access it here. Go to the webpage, then click on the blue hyperlink to access the pdf file. WHY DID ST KITTS CBI PASSPORT HOLDER HAVE FOUR PASSPORTS ? 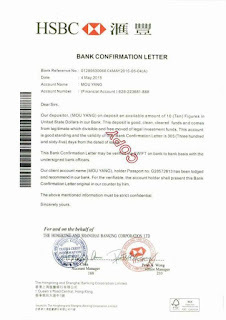 (2) Conspiracy to defraud the United States. 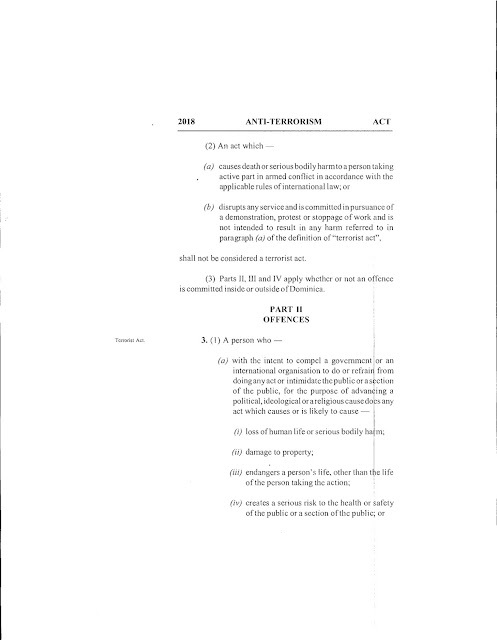 (3) Conspiracy to violate IEEPA*. 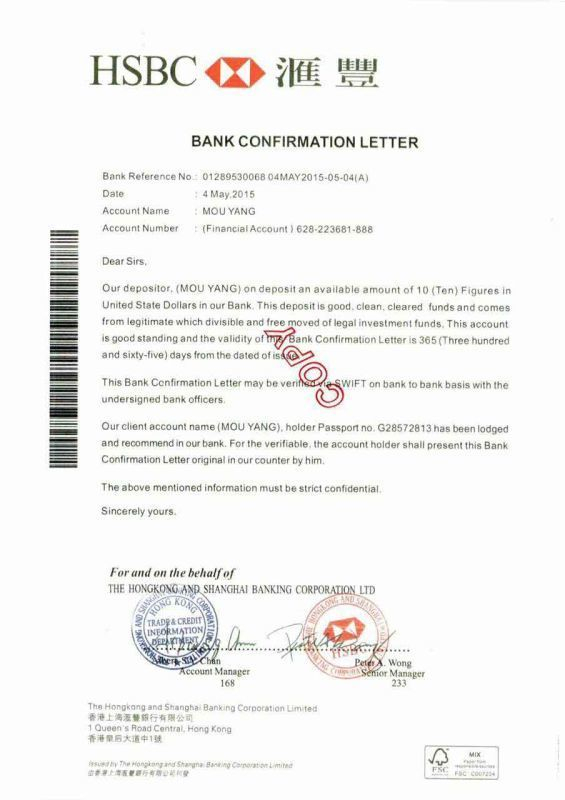 (5) Conspiracy to Commit Bank Fraud. (6) Conspiracy to Commit Money Laundeing. The senior executive, and owner, of Malta-based and incorporated Pilatus Bank, Nejad faces a maximum of 125 years in Federal Prison for his crimes. So why is he the subject of a CBI passport article ? 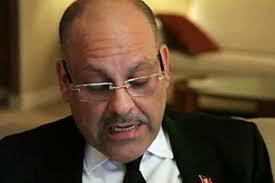 It appears that Mr. Nejad acquired four (4) CBI passports from St Kitts & Nevis, according to reliable reports. The fact that the CBI passport agency in SKN issued him so many identity documents speaks volumes about the ineffectiveness of the CBI program's operation. (A) His attorney, on spin control, has attempted to diffuse the situation by claiming that two of the passports had all their visa pages filled in, and one, not completely full, contained some sort of "authorization" (Visa ??) for the United Kingdom, This is a flagrant lie, as St Kitts passports holders, as nationals of a Commonwealth state, enjoy visa-feee access to the UK. (B) This nonsence about two passports being completely full is another falsehood. 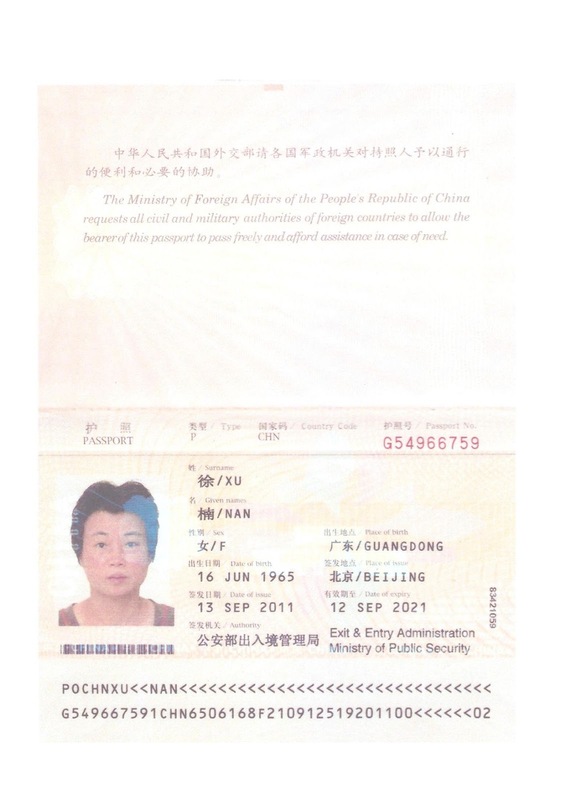 Anyone can have extra pages appended to an existing passport, and many jurisdictions do not even stamp your passport any more. (C) Our Iranian sources have stated that these passports contain different names, and/or diferent dates and places of birth. 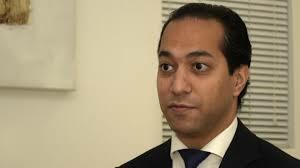 Money launderers, which Mr. Nejad is alleged to be in the indictment, frequently alter the spellings of their names, and birthdate information, slightly, to defeat government computer searches at Customs. (D) Is one these passports a diplomatic passport ? That might explain why Nejad has more than one. Of course, he's no diplomat, not accredited or posted anywhere, a violation of UN treaty laws. The case is a classic illustration of the shortcomings of the current St Kitts CBI program; that program must be the subject of a major upgrade, if it is to survive, and prosper. Otherwise, CBI passport holders may find themselves detained an international customs kiosks, interviewed at length, and even detained, all because St Kitts has failed to raise its program to an acceptable level. Nejad is alleged to have placed obscenely high processing charges upon Iran, in some cases as high as forty per cent (40%) on transactions. The recent commencement of criminal investigations, against a number of minor employees at the defunct Panama city law firm of Mossack & Fonseca may signal a change in focus, from the name partners, to low-level participants in the international money laundering and tax evasion program exposed in the Panama Papers. (1) Panama Papers released to global media; April 2016. (2) Mossack & Fonseca partners arrested; February, 2017. (3) Partners bond out of jail; April, 2017. (4) Law firm closes down; April, 2018. Given that sufficient evidence to convict the partners many times over has been in the public domain for more than two years, the fact that investigations are continuing is suspicious at best. 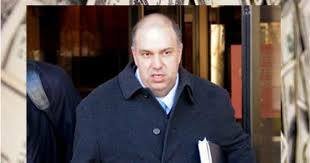 Will Jurgen Mossack and Ramón Fonseca, the founding partners of the law firm, ever go to trial ? It is beginning to appear more and more unlikely to experienced Panama watchers, who are familiar with the corrupt status of the country's court system, where illegal gratuities often change hands, and influential lawyers can delay justice indefinitely through bribes and favors. While the Panama Papers have focused the financial world's attention on the sordid and opaque offshore corporate formation industry, and caused global awareness, the M & F partners may never see the inside of a Panamanian prison. In a meeting last month, the current Prime Minister of St Kitts & Nevis disclosed some critical historical information about official correspondence on file in his office, regarding the United States' conclusions about the previous SKN government's lack of effectiveness, in properly administering the due diligence portion of its CBI program. 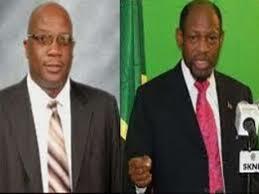 The Prime Minister, Timothy Harris, stated that there were several letters from officials in the United States, critical of the deficiencies of the St Kitts CBI program. One specific letter, from then-Secretary of State John Kerry, to then-Prime Minister Denzil Douglas, flat out told Douglas to cease and desist issuing any additional CBI passports, due to the manner in which the program was being operated. Obviously, Douglas never complied with Secretary Kerry's request; subseqently his US visa was revoked by Kerry, and it has never been reinstated, notwithstanding repeated requests. A reform element in St Kitts is seeking to elevate its existing CBI program, which is still poorly regarded by the United States, which has never rescinded the 2014 FinCEN Advisory, through an upgrade to Enhanced Due Diligence investigation of all applicants. Employing EDD could also ease the relationship with Canada, which also imposed visa requirements on SKN nationals, reportedly based upon the flaws in the CBI program vetting procedure. The exposure of a "sponsored news story" about the purported arrest in China, of a senior officer of a prominent CBI real estate developer, as a total fabrication, once more confirms that there are powerful, albeit hidden, forces in the East Caribbean, devoted to the pursuit of a hidden financial agenda .That agenda is to divert potential affluent foreign investors from certain CBI programs, and toward others where the hidden forces have a large financial stake in increased sales. What happened recently in the news has been traced back to a dodgy businessman, formerly from one of the East Caribbean states but now living in the United States, who allegedly sought to place "fake news" in several Caribbean media. One online website published the information, without confirming the story, leading others to blindly follow, assuming, incorrectly and negligently, that it was true and correct; Big mistake. This is but one example of how news management forces in the Caribbean seek to mold public opinion against one or more CBI jurisdictions, while cleverly leaving out the ones it can most benefit from, so that CBI applicants are being steered and directed to the "clean" alternatives championed by certain parties. (1) financially supporting what appear to be objective online news services, when in truth and in fact, they are heavily weighted with pro-articles, concerning one jursidiction, and negative news about their competition. (2) Placing what are referred to as Opinion pieces, or Commentary, of content slanted against certain CBI jurisdictions, on news sites. 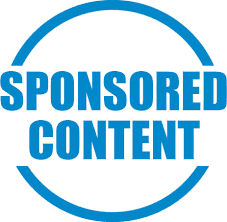 (3) The placement of "sponsored" content, often paying well for the privilege. Warning: that content may not be labeled as such. These are often puff pieces, extolling the virtues of one country; This may occur on strictly local media sites,where advertising revenues can influence the content, as well regional, commercial news and information services. (4) The use of surveys, forums, and non-profit industry groups that are little more than shills, and other so-called objective yardticks, showing one CBI jurisdiction as head and shoulders above another. All negative information, concerning the one which is being the subject of the advocacy, is suppressed or glossed over. (B) Certain financially flush senior government officials, at a specific state where they themselves have a lucrative, although probably covert, means of "profit sharing," and who simply want much more of the same. 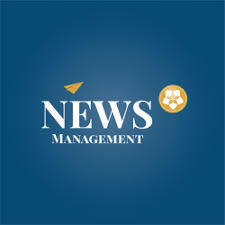 Frankly, it could even be a joint venture between (A) and (B); whoever it is, the news management efforts have made any accurate assessment of the truth of information on Caribbean news websites problematic at best, and to be avoided for any compliance enhanced due diligence, as well as risk management purposes. Consider the "news" from these resources to be either deliberately disinformation, or sugar-coated, either of which renders them unsatisfactory as news sources.